Trendy and appealing, this orange colored kurta from Global Desi is a must-have in your ethnic wear collection. 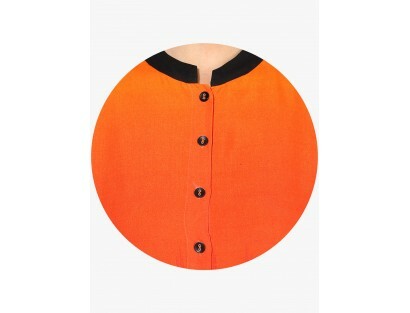 The contrast colored mandarin collar and a full front button placket make this sleeveless kurta a true value for money. 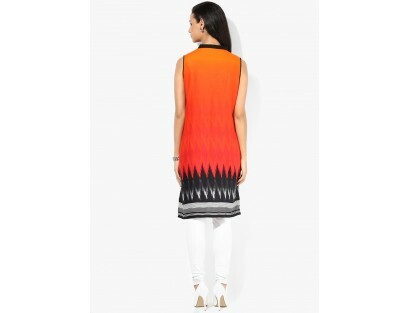 Featuring a stylishly printed hem and eye-catching ombre effect, this kurta will allow you to step out in style. This regular-fit kurta is made from viscose that makes it soft against the skin.